New Delhi - Hostelů v New Delhi. 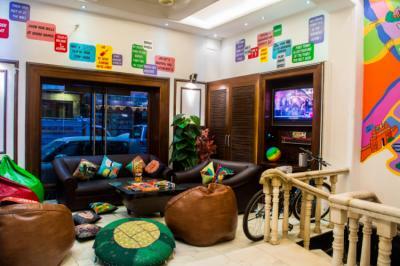 Mapy pro New Delhi, fotky a recenze pro každý hostel v New Delhi. 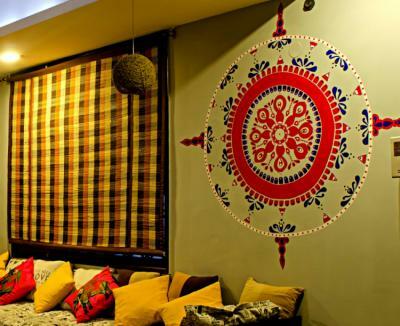 Hledáte - Hostel, levný hotel, apartmán, pokoj, chalupu, pokoj se snídaní B & B, nebo ubytovnu - New Delhi? Už nemusíte dál hledat, všechny dobré ceny pro následující město: New Delhi jsou na Hostely.com. Tak jako tisíce lidí každý měsíc, zarezervujte si vaše ubytování bezpečně za nejlepší cenu ve všech čtvrtích - New Delhi. Na této stránce můžete jedoduše najít hostel v centru, univerzitní studentské čtvrti, v blízkosti autobusové zastávky, nádraží, letiště a blízko všech atrakcí - New Delhi. 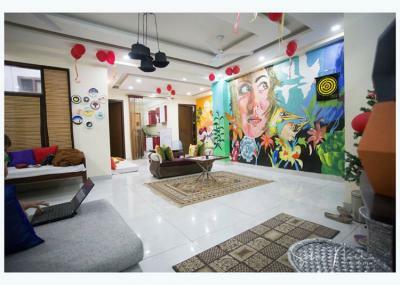 Conveniently located within a 3-minute walk from the Saket metro station, The Hosteller Delhi is one of the well-located backpacker's hostels in Delhi (especially due to proximity to the airport). It is closer to many world heritage sites like Qutub Minar, Lotus temple, Mehrauli, Delhi fort etc making it an ideal choice if you are planning to stay in Delhi. 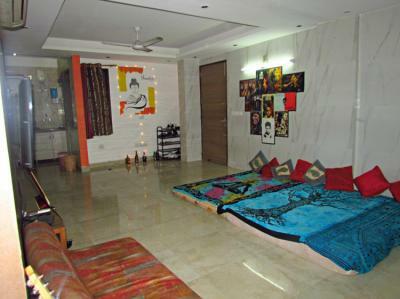 Vasant Kunj, an upmarket place is located at the foothills of Aravali. The hostel is located in one of the greenest areas of Vasant Kunj- facing the huge park, this place gives you mountain-vibes. Vasant Kunj is accessible by means of public transport including autos, taxis and buses. The nearest Metro stations are Chattarpur. The best is, this hostel is the only one which is closest to the airport- Indira Gandhi International Airport (Terminal 3) is at a distance of 5.9 km. 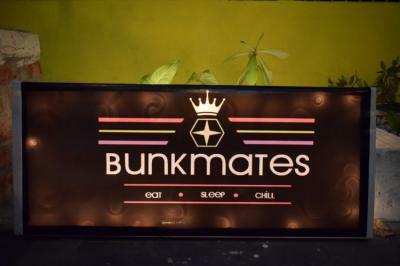 Cool vibes, great staff, clean, easy to locate, in good area. Would recommend. Really kind staff. Amazing roof top. Great vibes. Spacious and comfortable. Close to the metro. Good price! Located in a gated community so safety is not compromised. Hlavní atrakce jako Red Fort, Jama Masjid jsou vzdáleny 5 km. Centrum města je vzdáleno 2,5 km od hotelu Zostel Delhi. Nachází se v samém srdci města, je to jen 5 minut chůze od vlakového nádraží v New Delhi. We are located in South Delhi, which enjoys easy connectivity to Gurgaon, Faridabad and most parts of Delhi. You can cover all parts of the city with a metro ride of 30-45 minutes. The rooms are pretty cofmortable and if you care a traveller in transit you can stay in the common area and chill while planning your next destination. Great atmosphere. Love the Zostel hostels and this one is strategically positioned near the railway station and metro! The hostel can get a bit crowded and the toilets could use a little more top notch cleaning. The staff are very friendly and helpful with your travel plans. Tughlaqabad Fort is 8 km from PodStop, while Lodhi Gardens is 9.7 km from the property. The nearest airport is Delhi International Airport, 20.9 km from the property. Velmi ochotný personál, pohodlný pobyt a příjemné místo na setkání & zůstat na rozpočtu. Našel jsem umístění tohoto hostelu jako USP. Všechny hotspoty města jsou nedaleko od metra, které jsou vzdálené pouhých 5 minut chůze. Zaměstnanci byli velice užiteční, když nás vedli k našim potřebám ve městě. Získáte autentické domácí indické jídlo, které zde bylo opravdu dobré. Celkově jsem zde měl velký krátký pobyt. Vůně tohoto místa jsou opravdu chlazeny ven. The Hostel is located in Hargovind Encalve, Main Chattarpur Road, which is a 5-10minute ride for INR 10 from Chattarpur Metro Station. A lot of restaurants and takeaways, like Subway, Chicago Pizza, Moti Mahal are nearby. Grocery Store, Saloon, Pharmacy and all basic necessities are just a 2-3minute walk. Qutab Minar, Garden of 5 senses, Chattarpur Temple, Safdarjung Tomb are also a few minutes drive away. It's just 20-25minutes away from the Centre from metro. Surroundings are safe and sound. 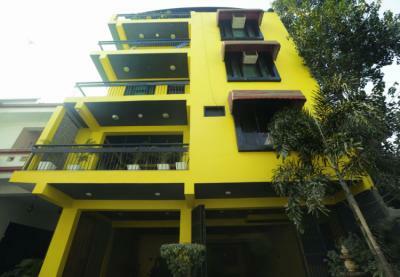 It's an affordable hostel with a very accommodating host. The beds are surprisingly comfy, the walls are beautifully decorated, its a clean and tidy crib. The staff of the hostel are very friendly while other guests like to entertain during our stay. Although its a bit far to go around the city, there are dining options nearby plus there is a reliable cook in the premises and the metro station is easy to reach. It's quite clean which is a plus.